Out of this world! A beautiful, freestanding optical crystal circle award featuring a half globe recessed into the face would make a stunning international or global achievement award or memento. 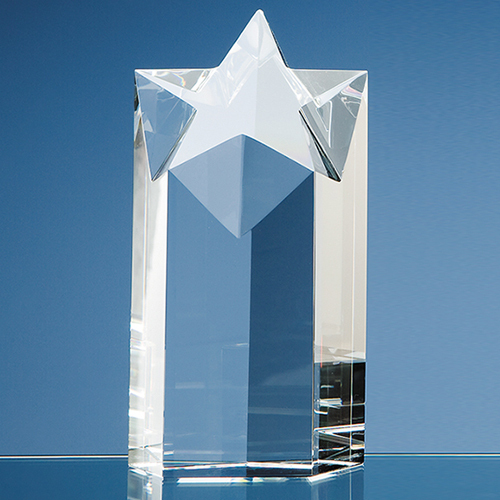 Available in three sizes  14cm, 17cm (shown) and 19cm - each award can be used individually or choose one of each size for 1st, 2nd and 3rd prizes. With a generous area to engrave a crest, company logo or message, it comes in its own foam lined presentation box.